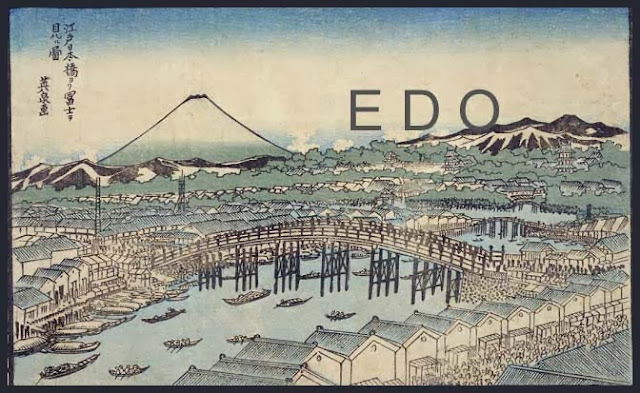 Silver Guild (monopoly office or guild).
. Money and payment in Edo .
. Kinza 金座 Gold Guild . was the Tokugawa shogunate's officially sanctioned gold monopoly or gold guild (za) which was created in 1595. Ginza Main Street, from sub-district 1 to 8, between Kyobashi and Shinbashi. 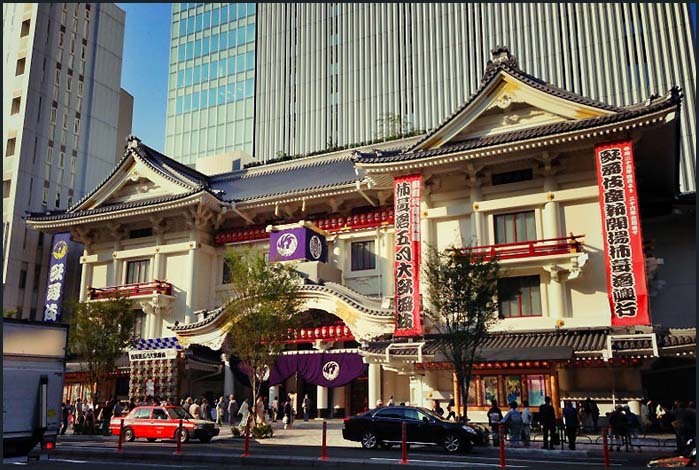 Ginza was a district of craftsmen! 湯浅作兵衛常是　Yuasa Sakubei Joze from Sakai, Osaka. Daikoku Sakubei Joze 大黒常是 Daikoku Joze (Daikoku Tsuneze) became controller (inspector, governor) of the ginza silver mint. the oginfukiyaku　御銀吹役. 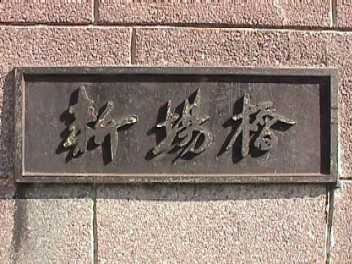 The title was kept in the Daikoku family for many generations. Nihonbashi Kakigaracho　日本橋蠣殻町 (now 人形町 Nihonbashi Ningyocho). 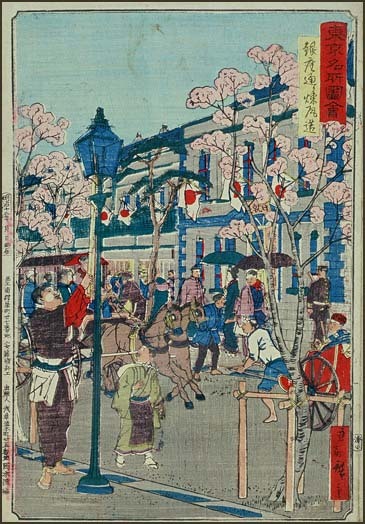 The need for the silver mint "ginza" was lost in the Meiji restauration, but the name remained. -- Ginza 銀座 – Silver mint or monopoly office (post-1598). ... is a designation given to the place that played a buying and selling of casting and silver bullion coin in the middle early modern period of Japan's regime. a district of Chūō, Tokyo, located south of Yaesu and Kyōbashi, west of Tsukiji, east of Yūrakuchō and Uchisaiwaichō, and north of Shinbashi. 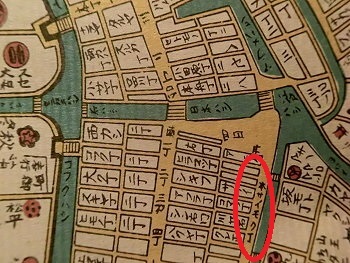 Ginza was built upon a former swamp that was filled in during the 16th century. 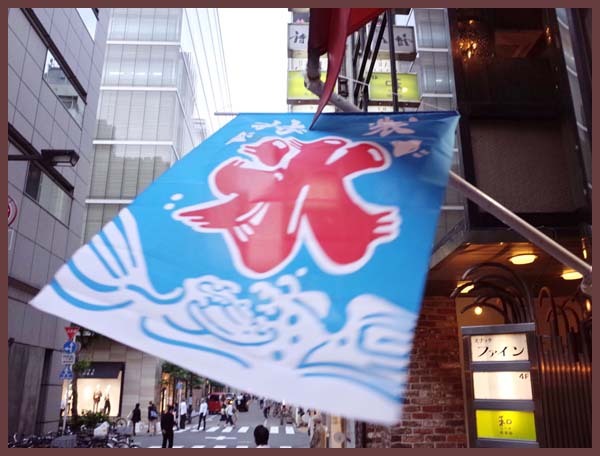 The name Ginza comes after the establishment of a silver-coin mint established there in 1612, during the Edo period. After a devastating fire in 1872 burnt down most of the area, the Meiji government designated the Ginza area as a "model of modernization." The government planned the construction of fireproof brick buildings and larger, better streets connecting Shimbashi Station all the way to the foreign concession in Tsukiji.
. Ginza Kabuki-Za　銀座歌舞伎座 .
. Ginza Hatcho Jinja 銀座八丁神社 Shrines in 8 Ginza districts . 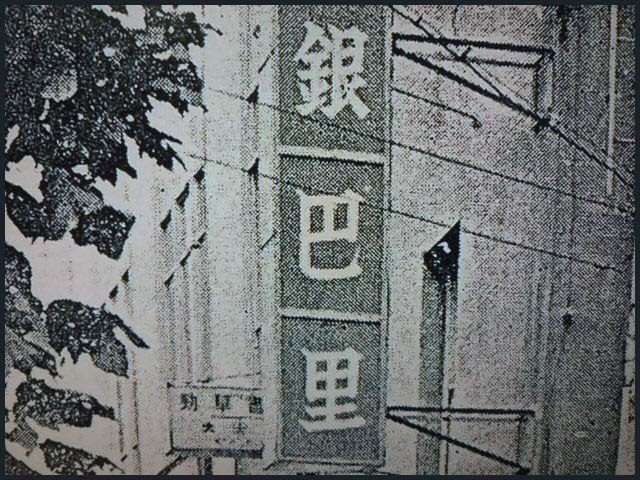 Ginpari from 1951 till 1990, in 東京銀座七丁目 the 7th district of Ginza. It was the first "chanson cafe" in Japan. As for the Chanson cafe in Ginza, Ginpari literally means 'Silver Paris'. was founded in 1830 in Ginza, first as a tatami-mat maker.
. hooki 箒 / ほうき Hoki, broom, Besen . On the underground pathway that connects the Ginza with 日比谷 Hibiya, there is a Yurei ghost showing up once in a while. Walking down the stairway from the Ginza side, where is a whirl of golden hair fluttering in the wind, following people. If people try to run away from it, it moves even faster toward them. When they reach the other side at Hibiya, the ghost disappears in a puff.
. kakigoori かき氷 shaved ice with flavor topping . "New Fish Village - Market"
Before Tokugawa Ieyasu came to Edo, there was a small fishing village at the Hibiya Inlet, Rogetsumura　老月村.
. 日比谷の入江 Hibiya no Irie inlet / 日比谷入江 . Next to Hibiya mura were 桜田村 Sakurada mura, 老月村 Rogetsu mura and other villages. 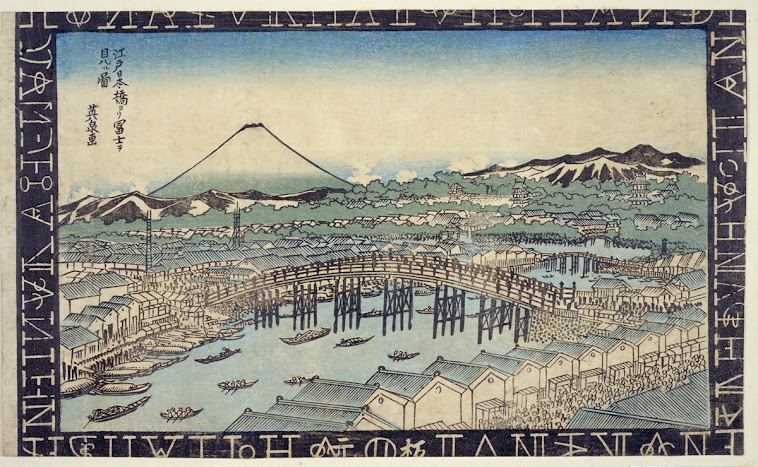 As the town of Edo begun to grow and more and more people needed food, especially fresh fish, Rogetsu-Mura became a well-frequented fish market. "New Fish (market ) Village". 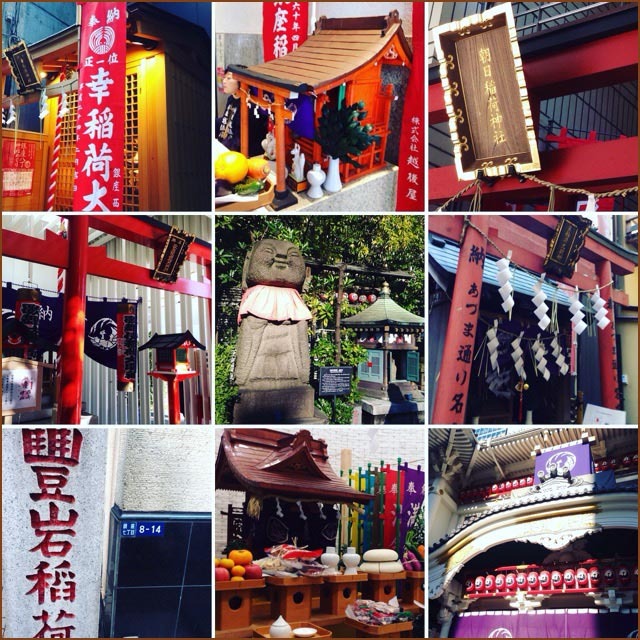 Momijidoori もみじ通り Edo Momiji-dori Avenue.
. Uogashi 日本橋魚河岸 fish market .
. Chūō ku 中央区 Chuo Ward "Central Ward" .